We never forget about Europe in Cafebabel’s Brussels bureau. That’s why we are inviting you to our traditional cinema debate, organised with our partners the European Parliament and the LUX Prize. The film Western will be projected on the 22nd of May, an opportunity for us to think about and discuss society, immigration and integration issues. While many Europeans are migrating northward and westward, it’s still rare to see people travelling the other way. What happens when German workers migrate to a Bulgaria and work on a construction site there for a couple of months? Will their behaviours in Bulgaria seem different from those who arrive in Belgium or France? 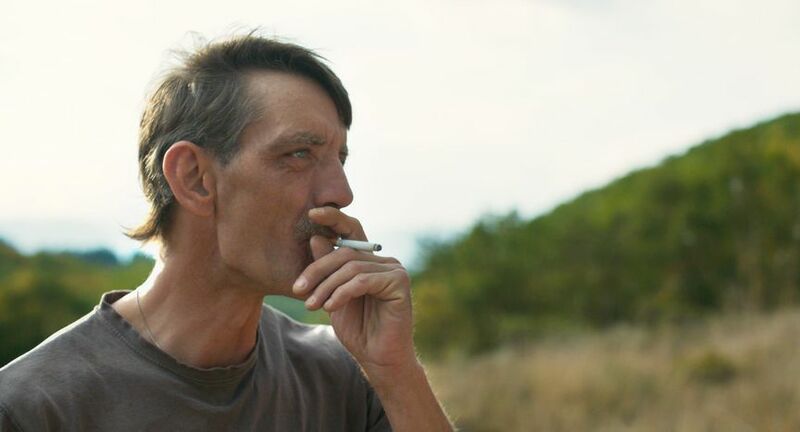 Valeska Grisebach depicts this uncommon, inverted trend in her film Western, which made it to the last round of the LUX Prize attributed by the European Parliament. The main character is a single man called Meinhardt, who isn’t as German as his name sounds and who has very divergent opinions from his colleagues’. Throughout this story, the director brings us to see different types of immigration. To be European means to be free to visit 27 foreign countries. Many of us take the chance for a short break or even a complete cultural immersion. I ask myself each time I travel: how am I going to be welcomed in a country that doesn’t know me? Western lets us think about this from another angle, from a place we are not used to depicting as a host country. In this case, Bulgaria. The melting pot idea of a Europe “united in diversity” seems difficult to achieve, as cleavages between locals and newcomers persist in many of European capitals. While people from different countries never stop bumping into one another in Brussels’ European neighbourhood, in certain areas, cultural and societal homogeneity remain untouched. As a young citizen who wishes to live in a solid, dynamic and just Europe, I feel the urge to see one that has more barriers, not only to understand the differences that separate us, but also to find out the elements that link us together. I often ask myself if it is genuinely a good thing if people gather together with those who they share the same language and sense of belonging with themselves? Cafébabel is published in different languages and based in several European countries. For this, we are particularly mindful of differences between different cultures and the language barriers. This is why we are organising this cinema debate, in the spirit of participatory journalism that we cherish a lot. After the movie (it’s free by the way), we will ask the audience to share their questions and their comments with our two guests: Anne Vanesse, president of Maison de la Famille and psychiatrist specialised in interculturality, as well as Bea Diallo, first alderman of the community of Ixelles and MP of Brussels. Mr. Bea Diallo is also in charge of the youth and social integration affairs. They will give a speech and answer questions after the movie. This is an opportunity to share overseas experiences and observations. Anne Vanessa will talk about human behaviours in the film and cross-cultural challenges witnessed by immigrant families in Brussels. Mr. Béa Diallo will talk about his vision of the integration and what we can do to make it better. The cinema debate will take place at the Cinéma Aventure in Brussels, located at 15 rue des Fripiers on Tuesday 22nd May, from 19:30 to 23:00. Free entry for everyone. Register here.